B & L Truck and Auto is a locally owned and operated automotive shop, featuring a salvage yard, repair shop, body shop and 24-hour wrecker service. Contact us today for more information about the variety of services we offer for all makes and models! Founded in 1984, B & L Truck and Auto is a locally owned and operated full-service auto body shop in Winfield, KS. We can provide just about any type of auto service you need, thanks to our salvage yard, repair shop, body shop and 24-hour wrecker service we have here on site for all different types of vehicles. No matter what your needs and what type of vehicle or equipment you have, we are completely confident in our ability to find the exact right auto parts for your purposes! 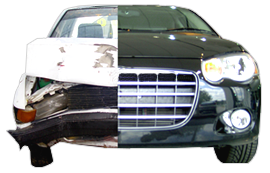 Our wrecker service is available 24 hours a day. We are experienced in working on both domestic and import vehicles of all makes and models. We can find out the most cost-effective repair and maintenance alternatives. Contact us today at B & L Truck and Auto for more information about the services we provide to our Kansas customers. Ponka City, OK and more.